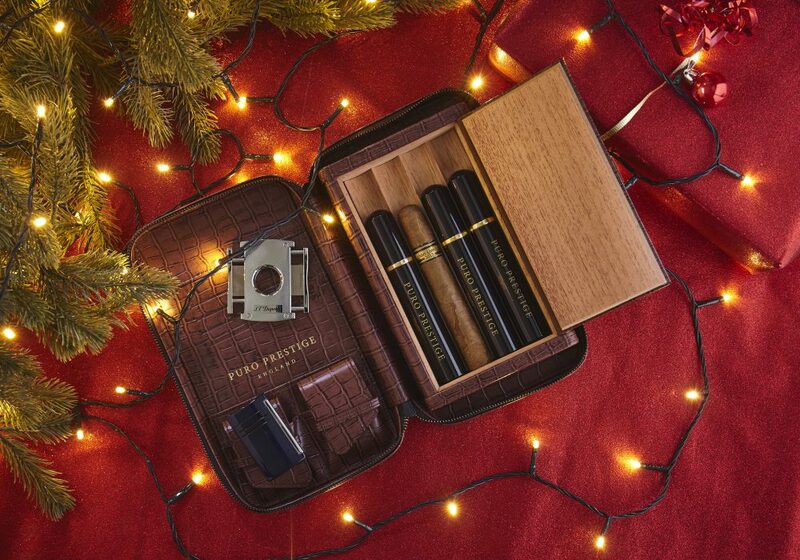 Travelling and cigar smoking: two of our favourite pastimes. 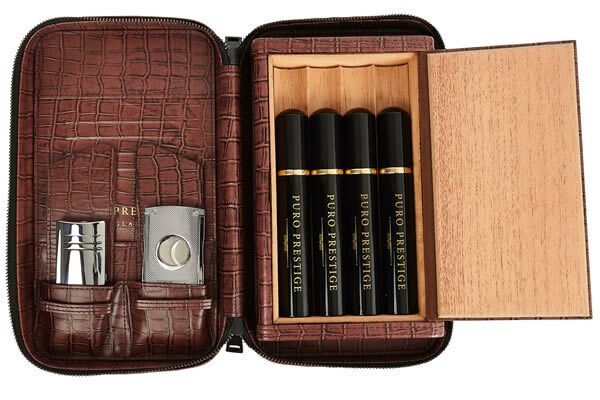 Our Puro Prestige cigar travel cases are our way of addressing the needs of both these activities. 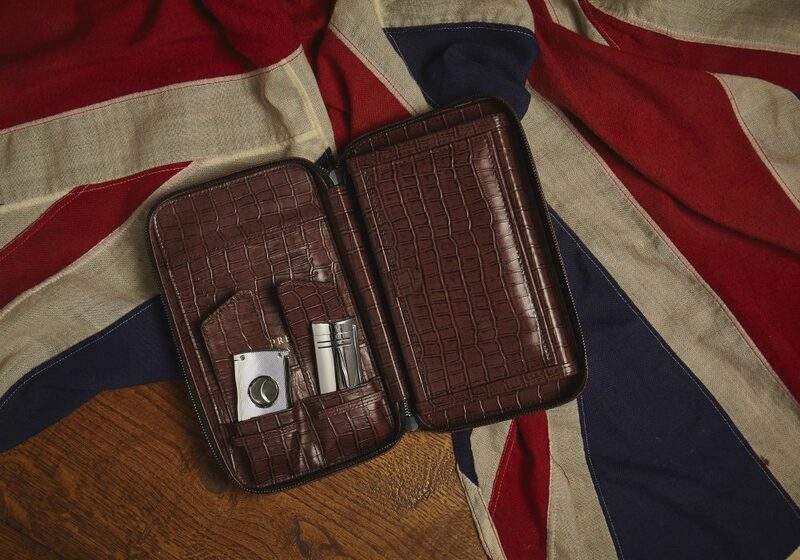 We’ve created a cigar case that exudes both the British tastes for class and pragmatism – every practical need is catered for in a way designed to impress both the aesthetic and tactile senses. 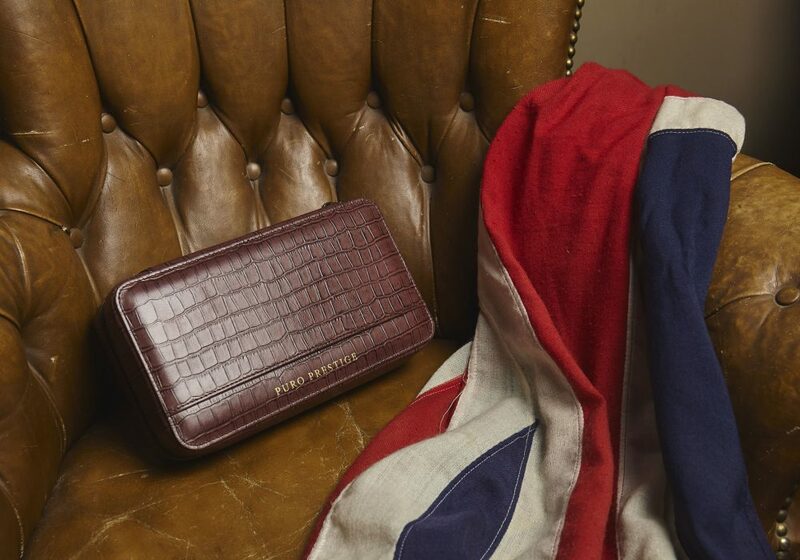 The Churchill Edition: Burgundy Leather is more than an accessory; it’s a companion. 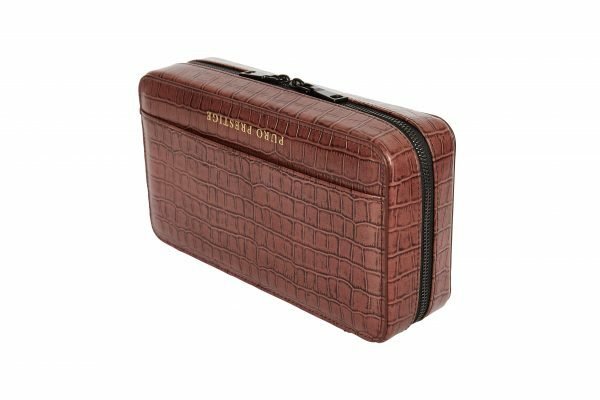 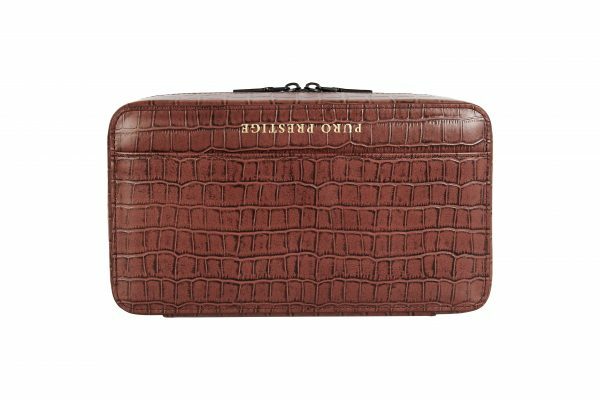 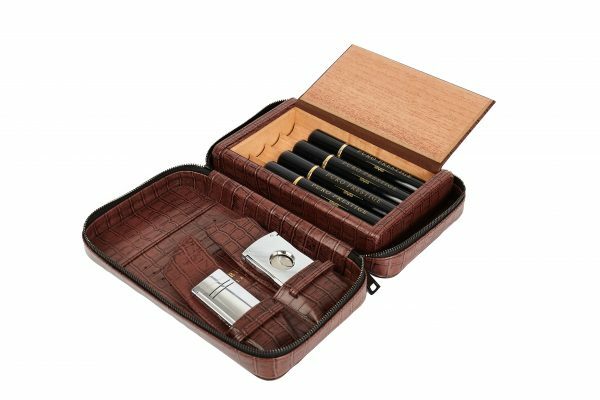 Our crocodile skin-style case has a higher quality of leather and has an expanded rack to take cigars up to 7 inches in length, so it can comfortably fit Churchill-style cigars. 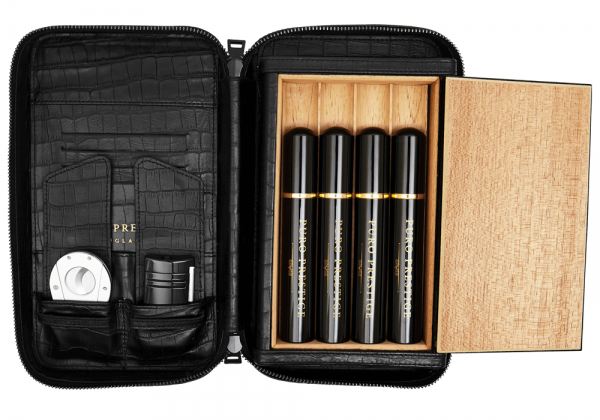 All of our travel cigar cases are built to last using only the finest materials. 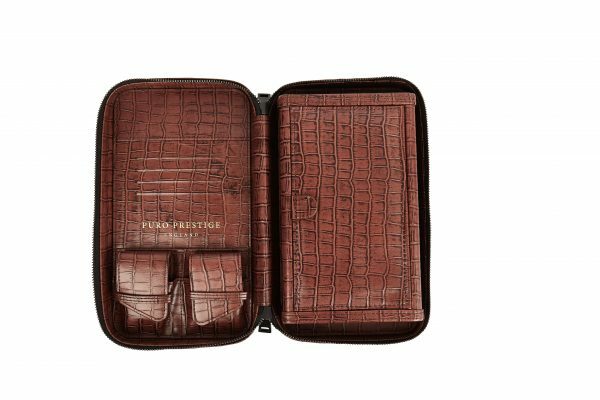 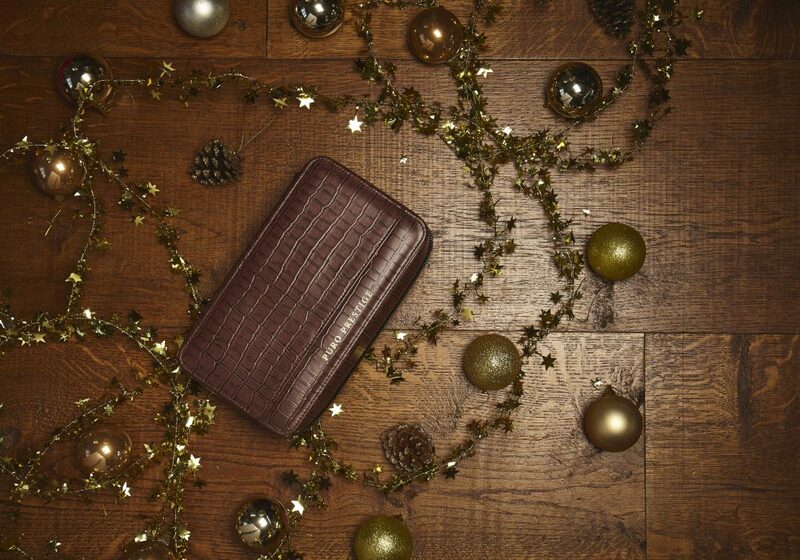 This version of our case is finished in crocodile skin-style burgundy leather – giving a more robust, rugged feel when compared to our original classic case. 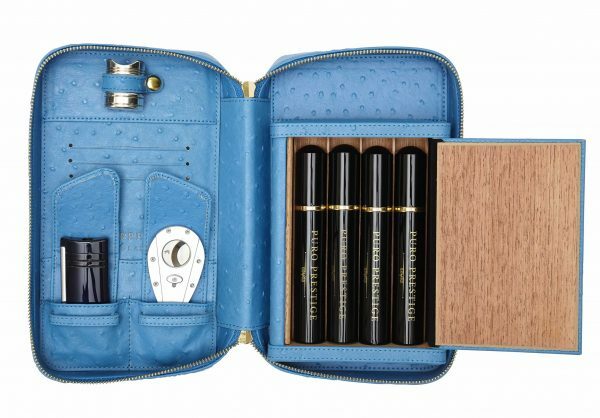 It is the ideal travel companion – sure to catch the eye of any fellow cigar aficionados. 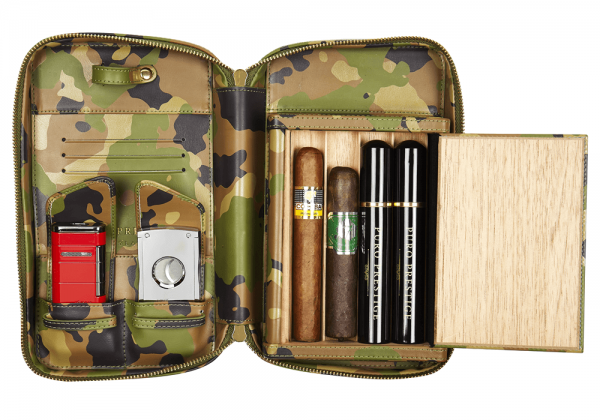 The Churchill Edition case comes with holders designed to hold almost any size of lighter or cutter safely and securely, and comes with convenient slots for credit or business cards. 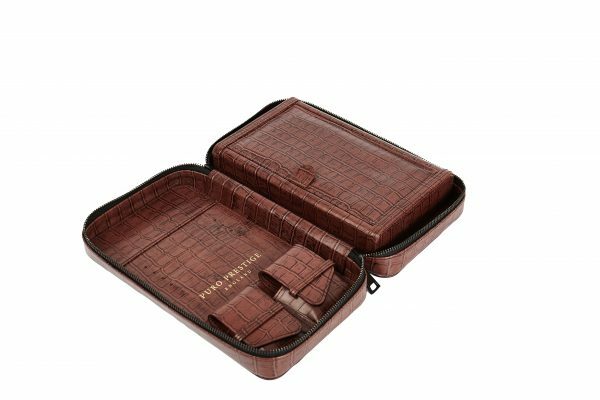 It’s these details that make it the ideal travel companion, designed with passionate smokers in mind.